Many bird species are migratory birds and travel great distances each year from their breeding grounds to their winter habitats. Most of the european breeding birds have their winter resides in tropical Africa. Nevertheless, there are some bird species that can only be found in Europe during the winter and spend the summer in Arctica. 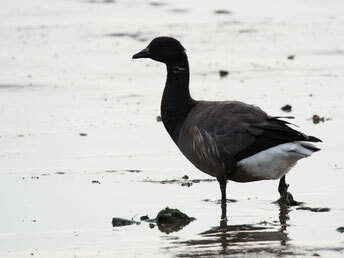 Three exemplary, high Arctic birds are the sanderling (Calidris alba), the barnacle goose (Branta leucopsis) and the brent goose (Branta bernicla). Barnacle goose - Sony A77ii, Tamron 150-600 @ 600mm, Iso 640, f/6.3, 1/4000 Sek. But why do these species face those exertions each year? Basically the bird migration phenomenon is a simple cost-benefit calculation: On one hand, migrating birds take great effort for travelling thousands of kilometers each year and waste all their resources. On the other hand, the costs for remaining at the breeding grounds are significantly higher. Food is rare during the Arctic winter and temperatures can drop way below the tolerance limit of the birds. This would result in a drastically higher mortality rate in adults and young. 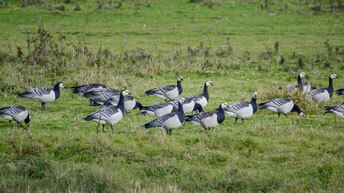 Barnacle goose - Nikon D5200, Tamron 70-300 @ 300mm, Iso 400, f/5.6, 1/1000 Sek. Sanderling - Sony A77ii, Tamron 150-600 @ 600mm, Iso 640, f/9, 1/1000 Sek. Each year in autumn, thousands of specimens from this three species migrate from their breeding grounds on Greenland, Svalbard and Sibiria to Central Europe. Their winter resides are located at the coast of the Northsea, in the Wadden Sea, where the winter is comparatively milder than in the Arctic. 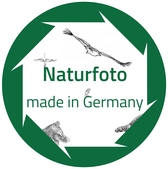 Furthermore, the Wadden Sea sustains enough resources for the thousands of migratory birds, due to its productivity, which is comparibly as high as in the tropical rainforest. Brent goose - Sony A77ii, Tamron 150-600 @ 600mm, Iso 640, f/7.1, 1/1250 Sek. 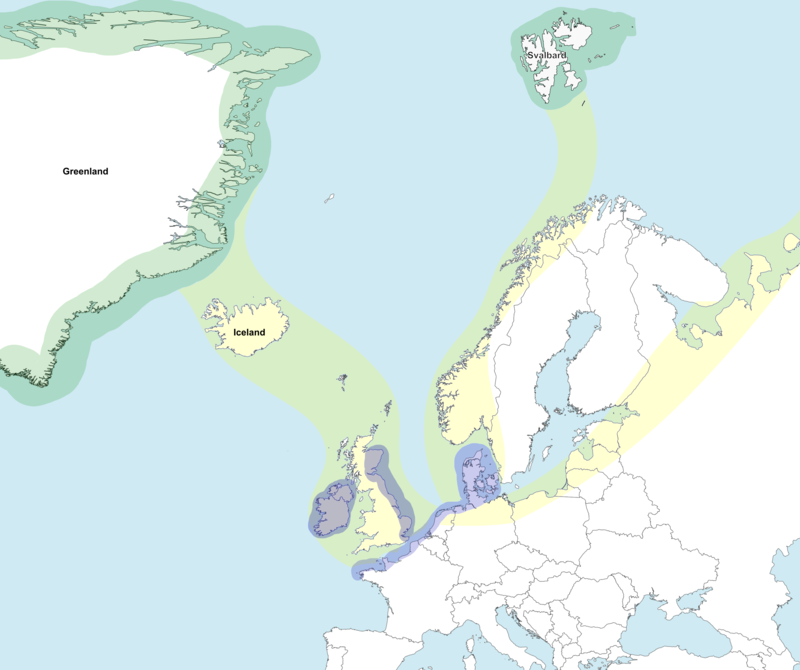 Annually the migrating birds follow three distinct routes (see map) that lead to Central Europe. 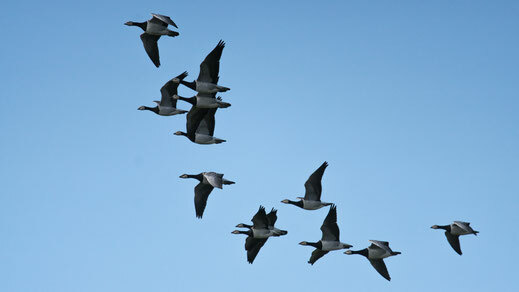 Residual birds from Greenland travel over Iceland to Great Britain and Ireland, where the most northern winter grounds are located. 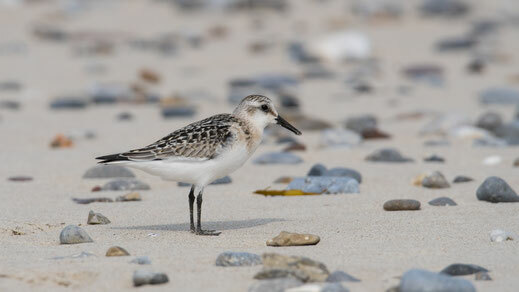 Birds from Svalbard follow a route along the coast of Norway to the winter resiudes at the continental coast from Denmark to the Atlantic coast of France. A third route leads from Russia along the Baltic Sea to the Central Europe winter grounds. The three main travel routes to the european winter residues of high Arctic bird lead over Iceland, the coast of Norway and from Sibiria to the coasts of Central Europe (image modified after Free Vecotr Maps). In spring the birds migrate back to their Arctic breeding grounds. The polar summer is short and offers only a small time span to hatch eggs and raise the young, until the migration starts again and the birds travel back to Central Europe in autumn. 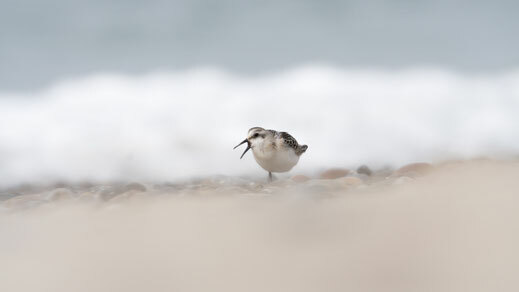 Sanderling - Sony A77ii, Tamron 150-600 @ 600mm, Iso 640, f/8, 1/2000 Sek.